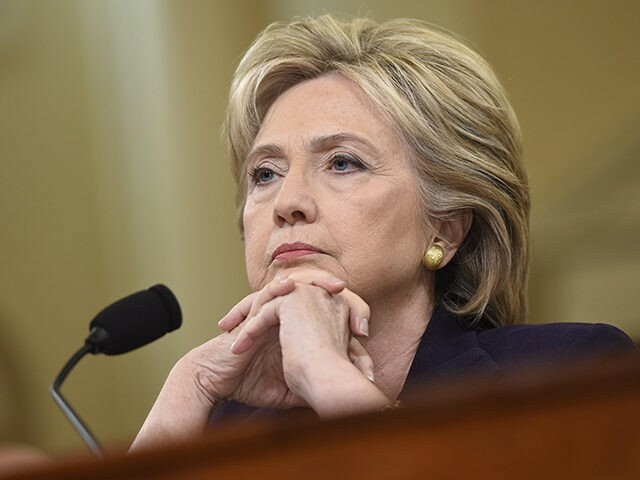 Secretary of State Hillary Clinton testified under oath before the House Select Committee on Benghazi last October that she had turned over “all my work related emails” from her private email server to the State Department. But on Tuesday, FBI director James Comey revealed that the agency had found “several thousand” work-related emails Clinton had not turned over, including three that included information that had been classified at the time that they had been sent. GOWDY: Let me ask you this. You say that you turned over everything. I don’t get a chance to watch you a lot on television, but when I see you are interviewed, you make a point of saying, I turned over everything. CLINTON: All my work related emails, yes. GOWDY: How do you know that? CLINTON: I know that because there was an exhaustive search done under the supervision of my attorneys, and that is exactly the outcome. We turned over every work related email, in fact, as somebody referred to earlier, we turned over too many. The State Department and the National Archives said there are 1,246 out of the 30,000-plus that they have already determined did not need to be turned over. SANCHEZ: Regular order, Mr. Chairman. GOWDY: … how they missed 15 of them. CLINTON: Well if you are talking about Mr. Blumenthal, which I assume you are, he had some that I didn’t have, and I had some that he didn’t have. And he — I was under no obligation to make any of his emails available unless I decided they were work related. And the ones that I decided that were work related I forwarded to the state.gov accounts of the people with whom I worked. GOWDY: Madam Secretary, is there any question that the 15 that James Cole turned over to us were work related? There’s no ambiguity about that. They were work related. CLINTON: No. They were from a personal friend, not any official government — not any government official. And they were, I determined on the basis of looking at them, what I thought was work related and what wasn’t. And some I didn’t even have time to read, Mr. Chairman. SANCHEZ: Mr. Chairman, regular order. GOWDY: I will tell the gentlelady from California that I’m going to take a little extra time, just like everybody else has, and that we can either do it this round, or we can do it next round. SANCHEZ: May I make a simple inquiry about how many more minutes the chairman plans? GOWDY: The fewer the interruptions, the quicker I can get done. I’ll put it to you that way. How’s that? SANCHEZ: OK, just be mindful of the time. GOWDY: The 15 — my question to you, on the 15, did your lawyers find them and decide that they were not work related or did they not find them? CLINTON: Well, I don’t know why he had emails I didn’t. And I don’t know why, apparently, I had emails he didn’t. And all I can tell you is that I turned over every work related email in my possession. Several thousand emails tell a different story.